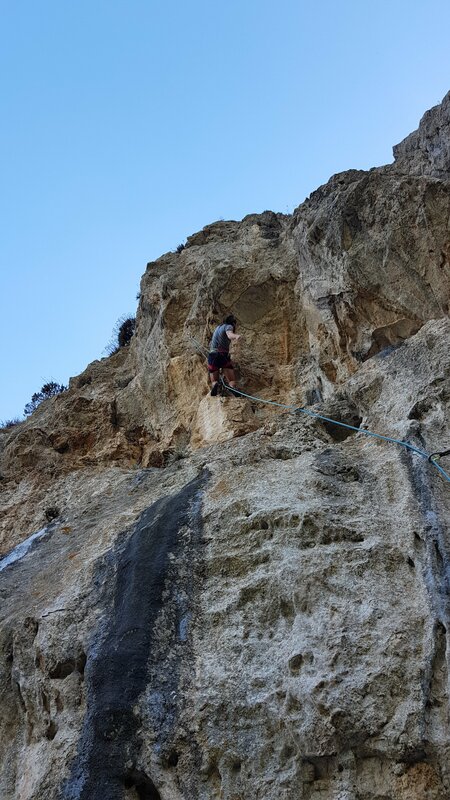 Another sunny day in Athens so another shady crag. Korlakofolia translates as Ravens Nest (very reminiscent of home! ), and was recommended to us by a friendly climber we bumped into at Mitikas. 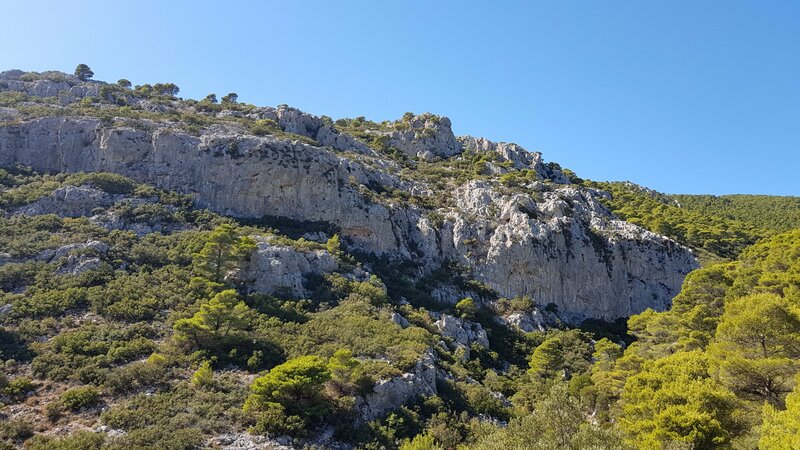 30 mins from the middle of Athens yet with a really isolated feel after a 2km dirt road and 10mins walk takes you around into a tucked away valley on Mt Parnitha. The name wasn’t the only thing reminiscent of home; our warm-up was an excellent 3* 6a+ Anatoli, which followed a natural ramp, crack and corner line feeling like the very best of Cheedale – or how Cheedale must have been 50 years ago before the demon polish! Plenty of steeper and more continental style fare on offer – I got sandbagged into trying a couple of 7as that Jake hadn’t found easy, with predictable results. Jake had a good try at Tonosi, the classic 7c of the crag, but was spat off by some very thin moves after the roof. 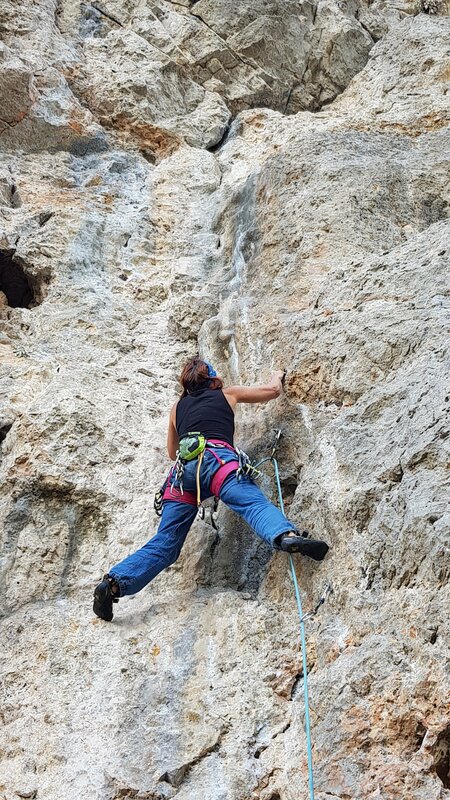 Meanwhile, Helen found some more very British feeling routes including this steep corner: I Dorea. Later we wandered into town for an excellent meal at the local fish restaurant – 7 course tasting menu for 18 euros including wine! 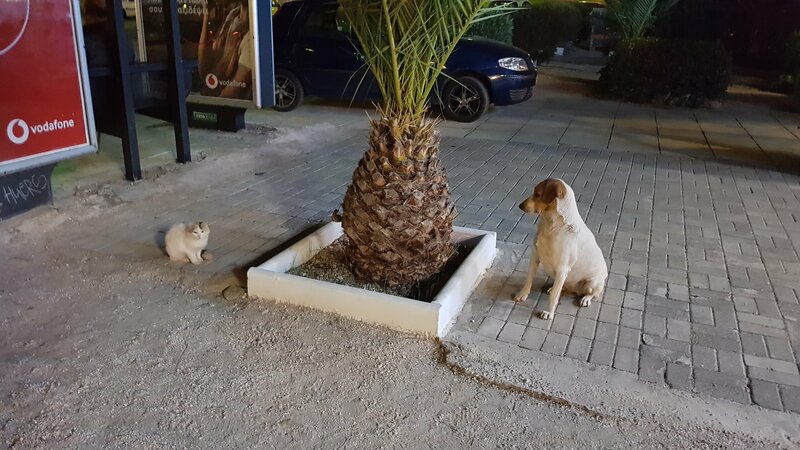 We also witnessed a classic Athens street stand-off – who’s going to blink first?